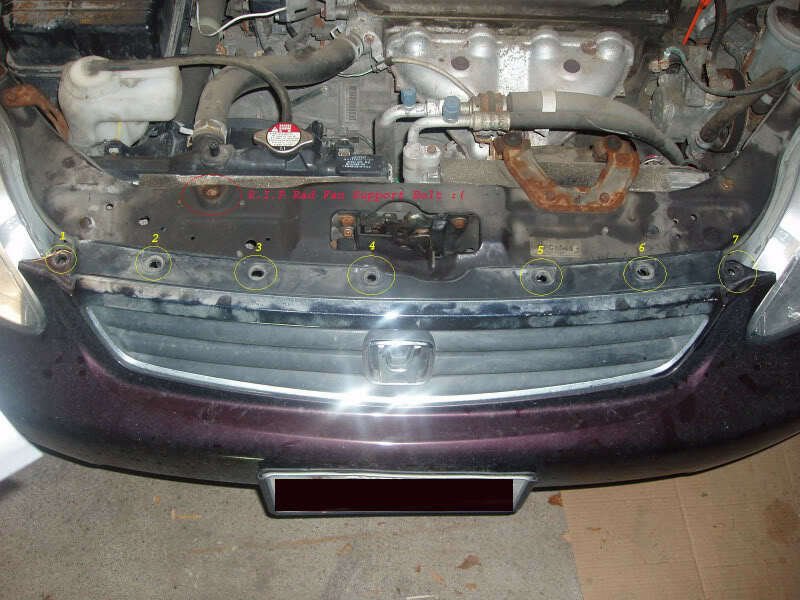 This was done on a 2000 Honda Civic SE, 4 Door. I’m not responsible for anything that happens to your car as a result of you using this DIY. This is what worked for me, and I hope you find it useful. You obviously need some fogs. 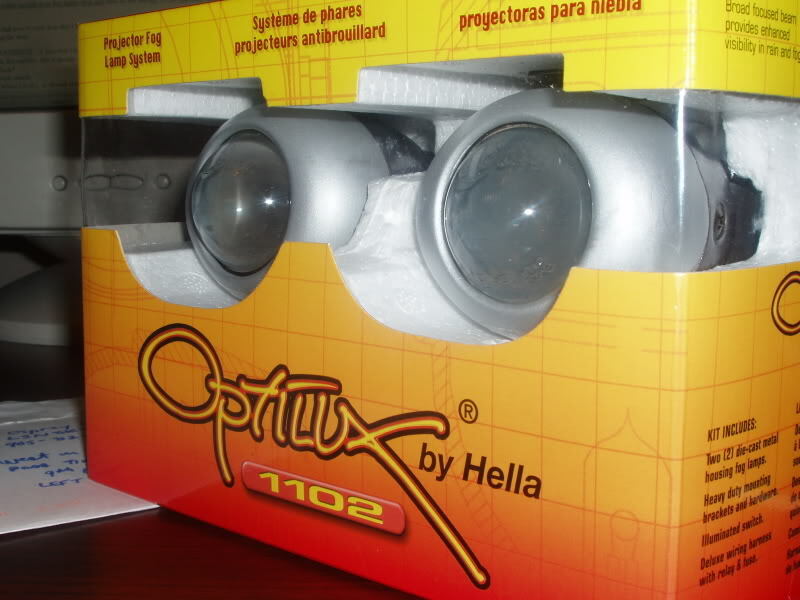 I picked up a pretty decent set from Hella: Optilux 1102. Start off by taking a look at your parts, inspect them and test them out to make sure all your stuff is in working order. It would be a huge pain to have done all the wiring and have, for example, the relay messed up, then having to undo all the work that you did to package the contents and return it. When I got the fogs, I decided to plug them into a computer power supply (12V and the bulbs are 12V too) to make sure the bulb was good. Later on I tried everything with the car battery to test the rest. By the way, if you want to change the bulbs, now would be a good time. 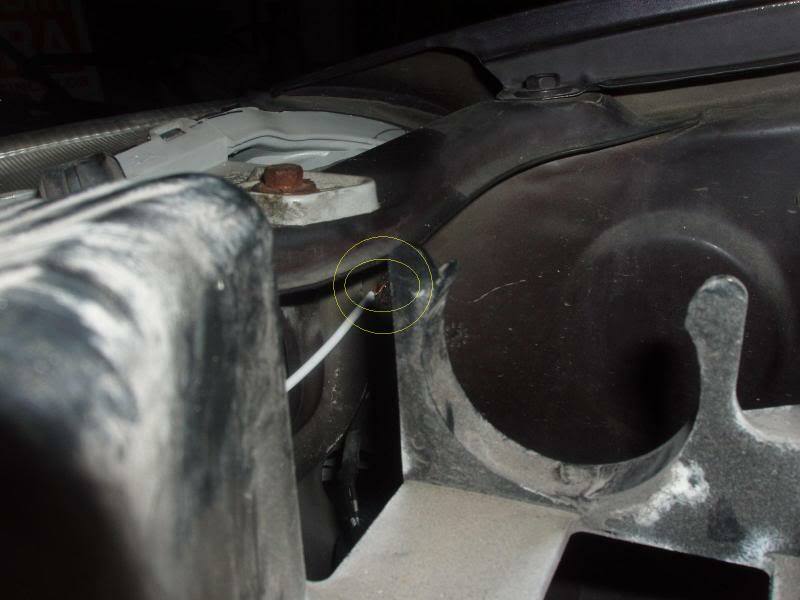 At this point, you will already have decided, or very close to deciding where you want to mount your fogs. It would be a good idea to have more than one option in mind because for those who don’t know what it’s like behind the bumper, your ideas may seem a bit far-fetched after removing it. 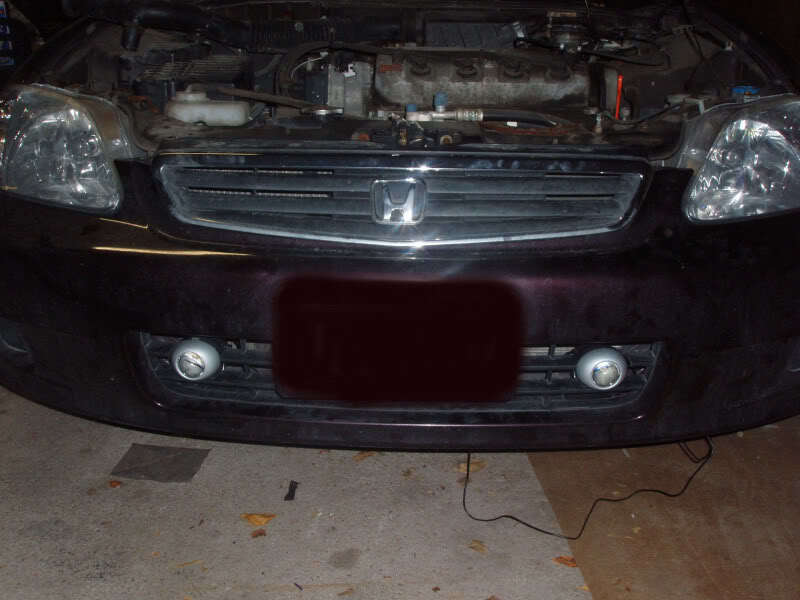 You can either mount your fog lights first and then do the wiring, or the opposite, which is what I did. So, now that you’re sure you don’t have any faulty components, get out some materials that will help you along the way. •	PATIENCE…if you don’t have any, buy some. •	Drill (cordless would be good) with appropriate screwdriver bits. Phillips is what I used the most. •	Tap-in wire connectors or Shrink wrap. •	A container, or separate containers for all the screws you are going to remove. DO NOT LOSE THEM!!! •	WD-40, or something of the like. I used M1 Starrett. *Note, the jack is optional. I felt that it was easier to access the front end with the car higher up. If you already know where the bolts and screws are that hold up your bumper, then you probably don’t need the jack for the purpose of making it easier to see where everything is. But like I said, it’s optional; up to you. Jack up your car and let it rest on the jack stands. Open the hood. Opening it all the way up would be good. Before you start tearing into things, I suggest spraying any bolts and screws that you are going to take off with some WD-40. 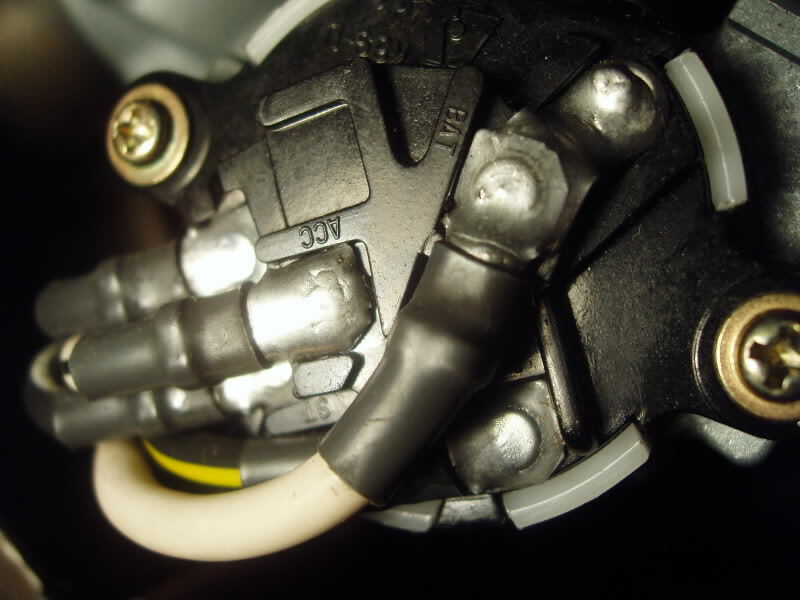 I made the mistake of not doing this for one bolt and I broke the head off the bolt on the radiator fan support. After the clips are removed, proceed to the bumper. There are 2 screws on either side of the bumper closest to the wheel well. These are Phillips head, or you can use an 8mm socket. After those are done, there are 2 bolts at the bottom of the bumper. You’ll need to remove those as well and put them into your container. Make sure you’re removing the ones that are attached to the bumper. So now you have the bumper off and put in a safe place. I rested mine on the grass. 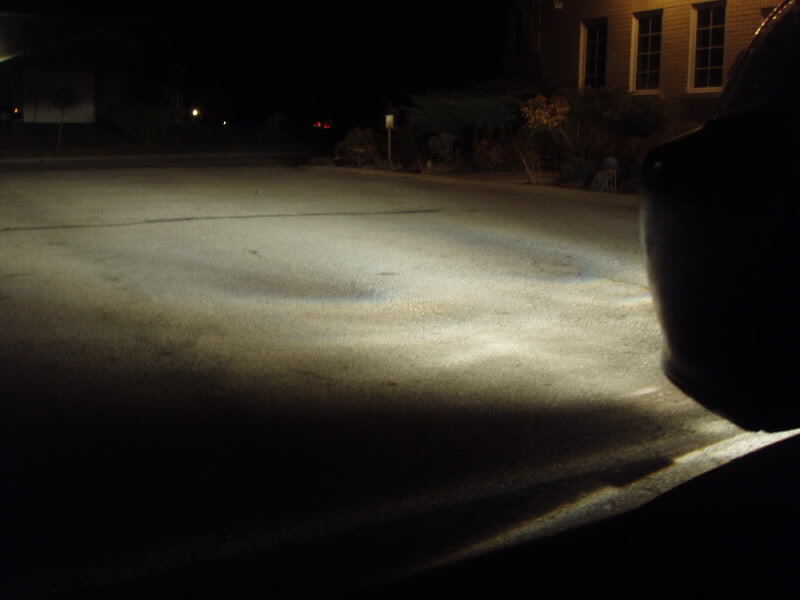 Now is the best time to observe how you’ll mount your fogs. It’s also a good time to check out if there’s any rust spots that you want to deal with. Remove the panels and the center piece where the shifter and the handbrake are. This will give you complete access to all the wires you need and more option for switch mounting positions. When removing the middle section, push the front seats all the way back to reveal a final screw that holds both pieces together. Don’t forget about those screws. I put the ones for the center piece in the cup-holders. 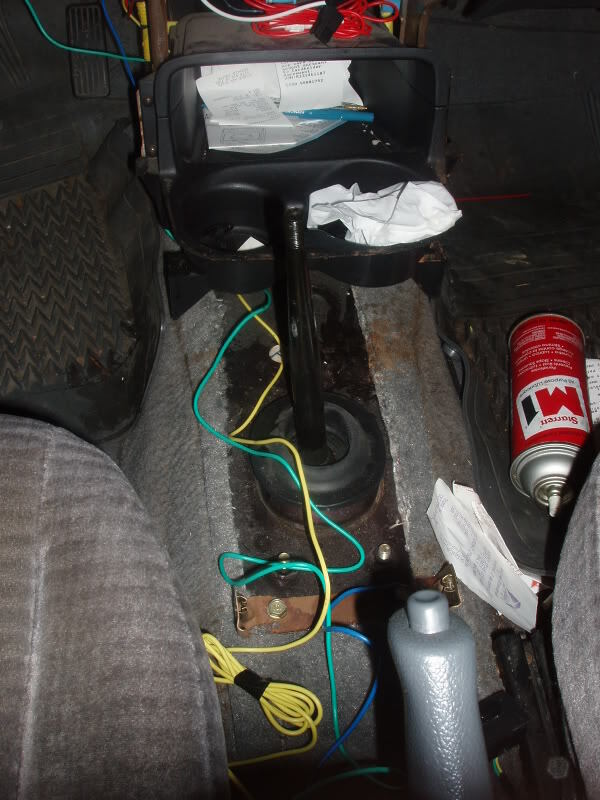 You should have 6 screws in total from removing the shifter console and the e-brake console. 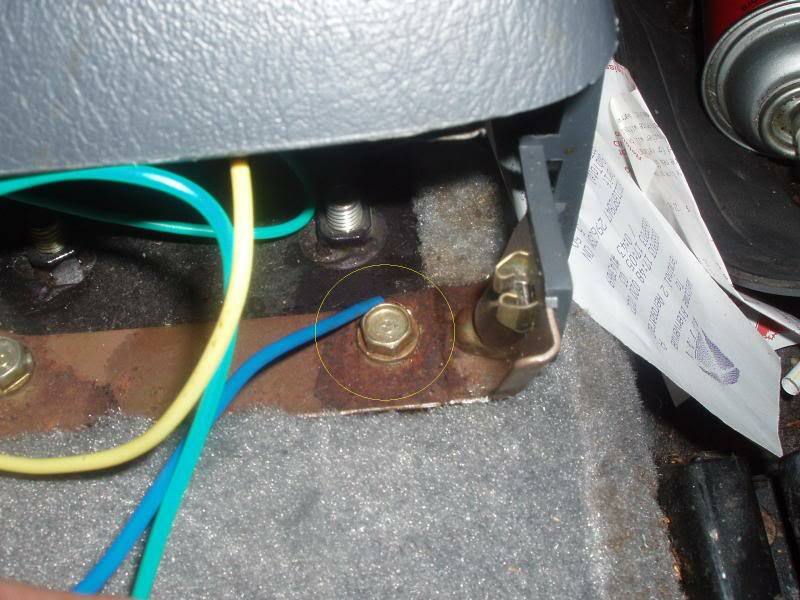 Now that your interior is prepared, it’s time to start running wires. 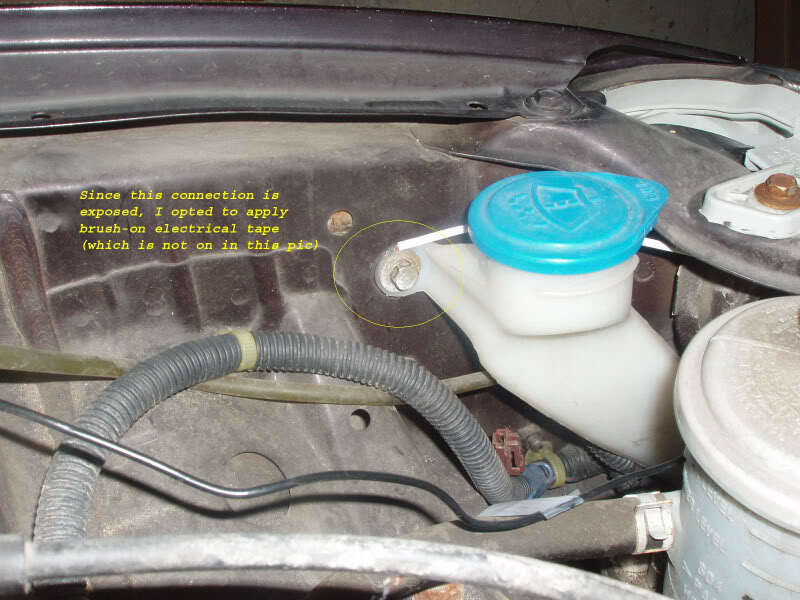 The instructions that came with the fog lights said to mount the relay under the hood, but in a place that is not exposed to water splashes and the like. I chose to go a safer and simpler route and just mount the relay inside the car. By doing it this way, I only have to send one wire through the firewall as opposed to 3, and the relay is better protected. I chose to mount my relay here (see picture below) by removing the screw and adding the relay on top, then putting the screw back in. You can put it somewhere else, but I chose to put it here because it has easier access as it is not entirely blocked off when you put the panels back on. This obviously helps if you ever have to replace it. I will go over each wire separately in this order: black, red, yellow, green and blue. 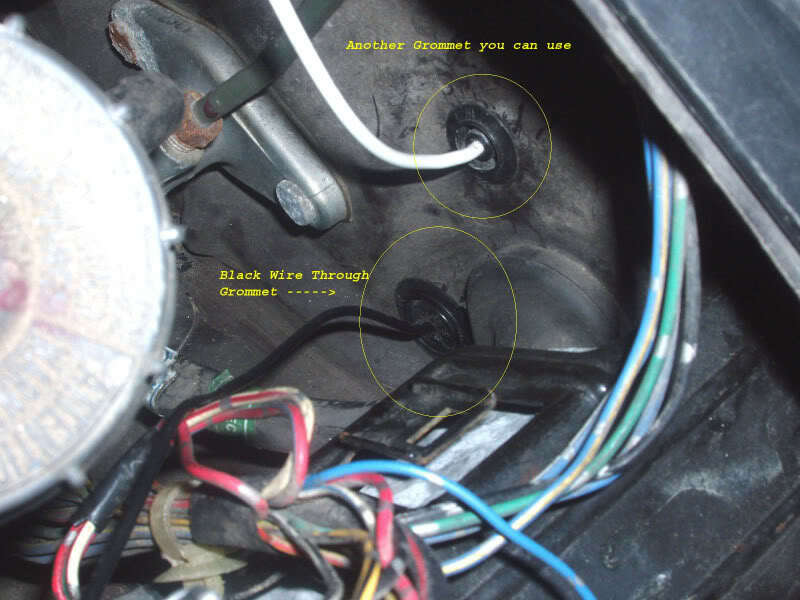 Start with the wire that will be connected to the positive ends of your fog lights; the black wire in this case. When running the wires, try and find places that are not easily exposed to water or road debris. I chose to run my wire with the longest side of the wire on the driver’s side of the car. The reason for this is that the passenger side does not have easy access to the grommets that grant you access through the firewall. Locate the grommet (there are two, take your pick) and puncture a hole large enough (but not too large) to fit the end of the wire through. You can also use the utility knife and cut a sliver through and then push the wire as well; it’s up to you. Coat hangers or those needle-nosed pliers come in handy here too. Remember, when you are leading the wire towards the firewall, you don’t want to have any loose wires hanging around. 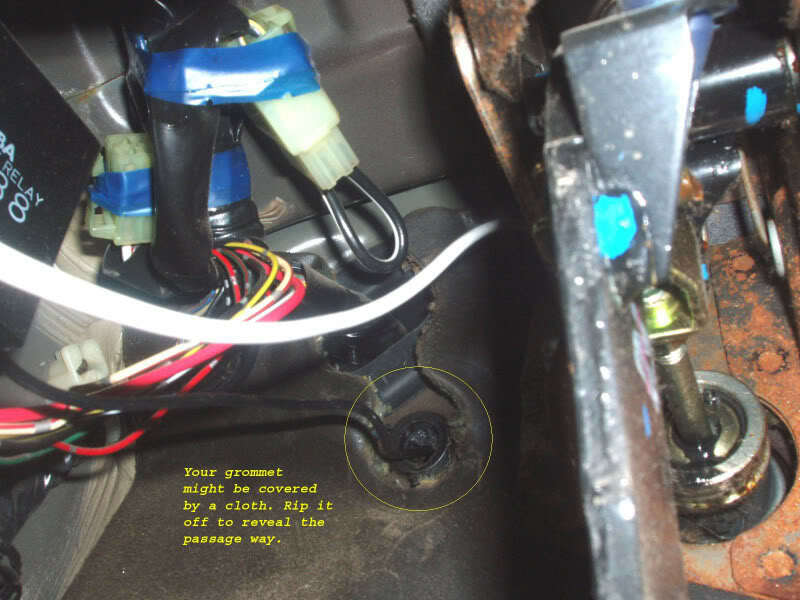 After you’ve put the wire through the grommet and into the interior of the car, leave enough slack so that you can use zip ties later to secure all the wires in place. I used tape for the time being as a temporary fix. You’ll have quite a bit of slack left over after you bring the black wire in. You can cut if off if you want, but I chose not to just in case I ever have to relocate my relay. It’s also much easier to simply wrap up the excess wire with a twist tie. Remember that you still have to connect the other end to the relay, so don’t do anything permanent with the wire yet. Before you continue to the next 4 wires, you should decide where you are going to locate your switch. I chose to locate mine on the e-brake console, and so my wiring was concentrated there. The Red wire is your positive power wire that will power your fog lights. The instructions say to hook it up directly to your battery, but for the sake of simplicity, I opted to stay inside the cabin and hook it up to the 12V power outlet above the cup holders. You will need to distinguish between +ve and –ve lead. To do so, take your circuit tester and ground one end, and touch the other end inside the plug until you find the one that lights up the circuit tester. 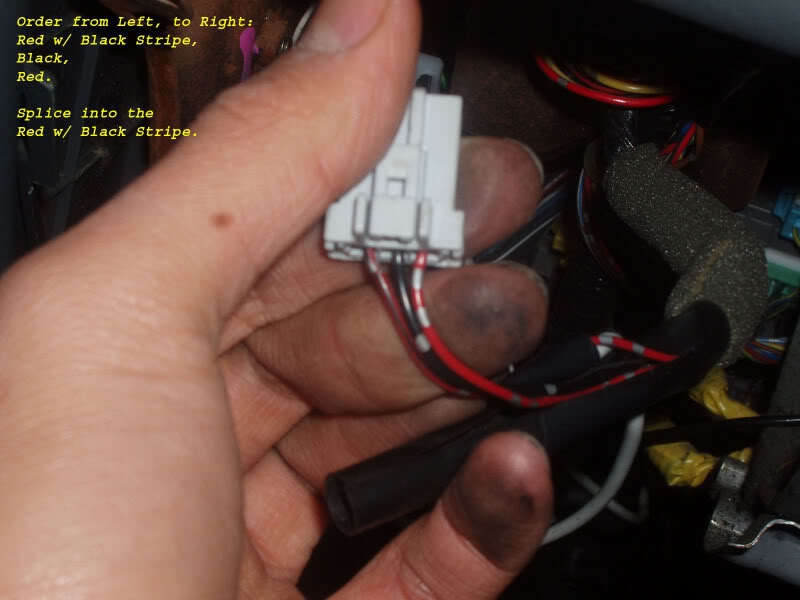 The wire in this case is a yellow wire with a green stripe, and it’s relatively easy to figure out since most of the time black is your ground wire (I say most of the time because on these fog lights, black is actually +ve and blue is –ve). You can also attach the red wire to the dimmer switch, but that was out of the way for me. If you do choose this route, the dimmer switch has 3 wires, a red with black stripe on the left, a black in the middle, and a red on the right. Take a guess as to which one is your +ve and which one is your –ve. Match it up to the yellow wire on the switch, and plug the other end into the relay. Run the wire wherever you want, but don’t have it subject to possible yanking. Don’t finalize this wire (by finalizing I mean attaching it without the intent of changing its position) until you’ve made all the connections. I connected my wire to the relay, and ran it underneath the cupholders, towards the shifter and attached it to the switch so it stayed put until I put the console back. The green wire is also simple. Its function is to provide power to the switch. The green wire has a built-in 2A fuse. The schematic tells you to connect it to the headlight lead, but I chose a different route. Since the green wire gives power to the switch, the entire system will not work without the green wire being connected to some power source. 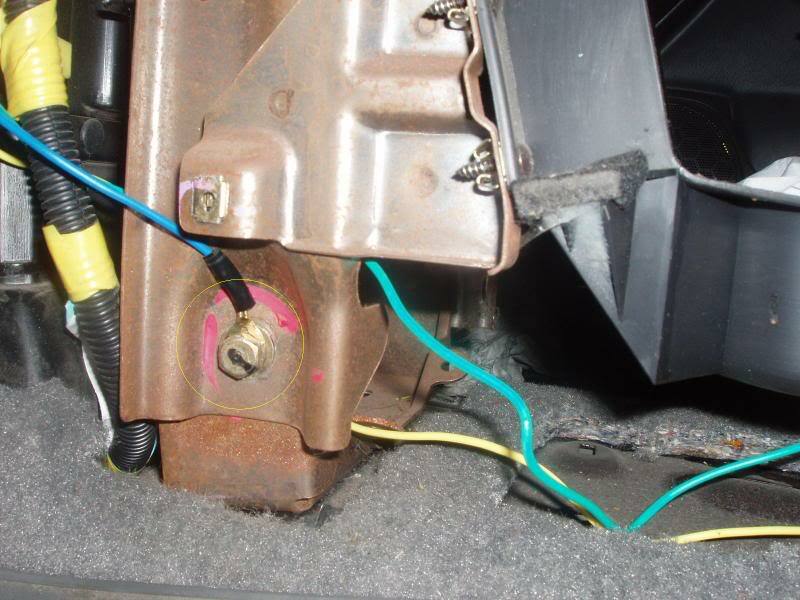 I chose to connect the green wire to the accessory wire that comes out of the ignition module, so that if the fog lights are left on and you remove the key from the ignition, the entire system shuts off, preventing a drained battery. To do this, you must locate the accessory wire, which is very easy. There are two ways of doing this. Simply identify the wire that matches to the ACC label and follow the wire until you find a good position to splice your green wire in and electrical tape it. The wire is white with a black stripe. I like to cover more than I need as a safety; ¼ to ½ inch on each side. 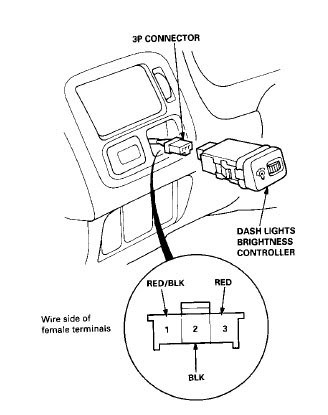 Locate the brown clip on the under-dash fuse box (on the driver’s side towards the left, you can’t miss it), which is indicated by the following picture. Once again, splice your green wire in, and use your electrical tape to cover it up. Again, put a little extra. To make it easier, you can GENTLY pull the clip out so you have more room to work with. Just don’t bang your head on the knee plate and cut your head like I did. Ouch. I should also mention that many people like to disable their DRL (Daytime Running Lights) when they install fog lights. To do this, pull out Fuse #20 (Red in colour, 10A) since you're already there. 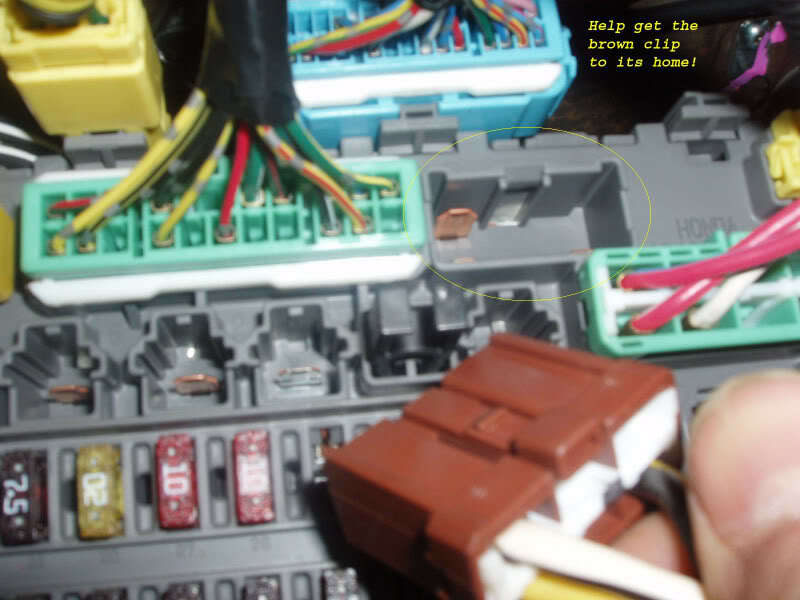 There should be a little black tool in the fuse box to help you pull out the fuse (you can see it in the picture directly above the brown clip). After you’ve made the connection to the accessory wire, run the wire through to the switch. This is the easiest wire, but probably the most important. 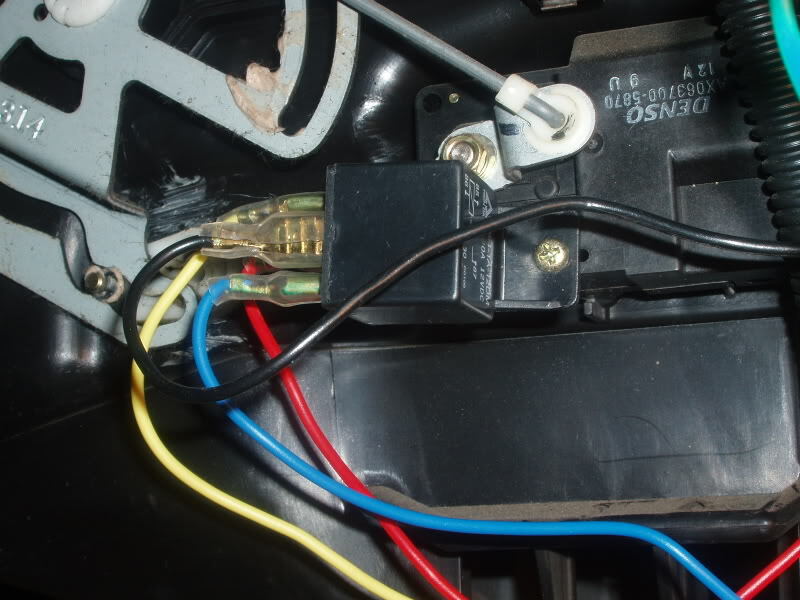 There are four blue wires in total: one from each fog light (2), one from the relay (1), and one from the switch (1). If you don’t connect these properly you will kick yourself later, so don’t half *** this step! The blue wire acts as a ground for the circuit. In other words, for the circuit to close (activate), a proper ground must exist. Without this done properly, when something goes wrong and you have to check your ground connections, you’ve got not one, but four to check. So anyways, I decided to ground my switch first. The wire came with a ring connector on one end so I cut it off (and saved it as they come in handy when you least expect it) and stripped the end a bit to reveal the bare wire. I loosened the bolt on the bracket, put the wire under the bolt and retightened it to secure the wire. I tugged on the wire a bit to make sure it was secure. After that’s done, connect it to the switch. Next, connect the relay’s ground wire. Cut off the ring connector (unless you find a place where you can connect it without cutting the ring off), and strip the wire bare. I found another bolt, so I loosened it slightly (without removing it), put the wire in, then retightened the bolt and yanked the wire a bit to make sure it’s secure. After that’s done, plug the other end into the relay. 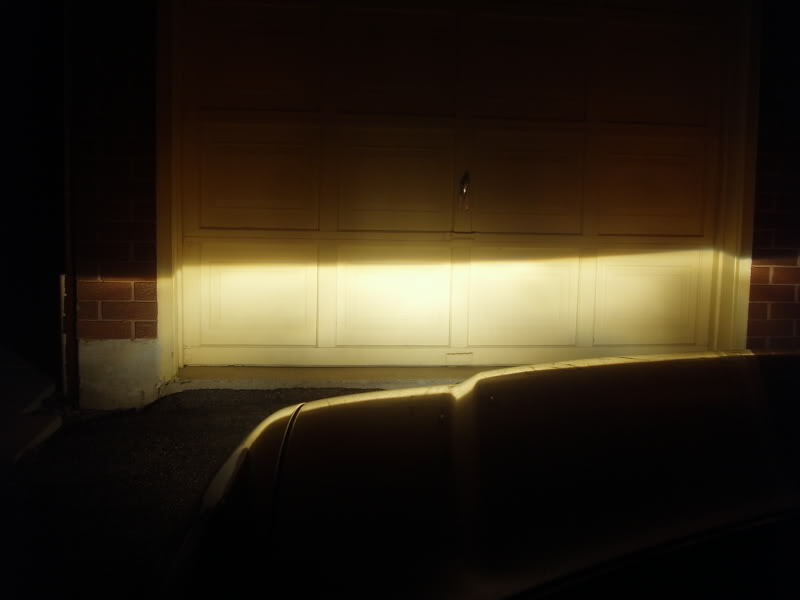 Next, the fog light grounds. Make sure that when you connect the ground, it is in a place that has minimal exposure to water, snow, road debris, etc. and most of all, it is secure. I decided to cut the ring connectors off both wires, connect some extra wire and extend the grounds into the engine bay where it’s better shielded from water and the like. The places I grounded to are not completely shielded but I covered my connection in brush-on electrical tape. Well, the wiring is pretty much done. Give it a test to make sure everything is working properly, and then start to put the panels and stuff back on. After that, mount your lights, put the bumper on and connect the ground wires to the lights. Remember to secure the wires! After that is done, it’s time to aim. Position the vehicle on a flat surface at a distance of 25’ (7.6 m) from a wall. Measure the distance from the center of the lamp to the ground and mark off the same height on the wall. Adjust them so the top of the beam is 4” (102mm) below the center line mark on the wall. After that’s done, tighten up your mounting brackets and you’re good to go. You obviously don’t have to follow the aiming procedure to the T, it’s just a guideline. I didn’t follow that procedure. 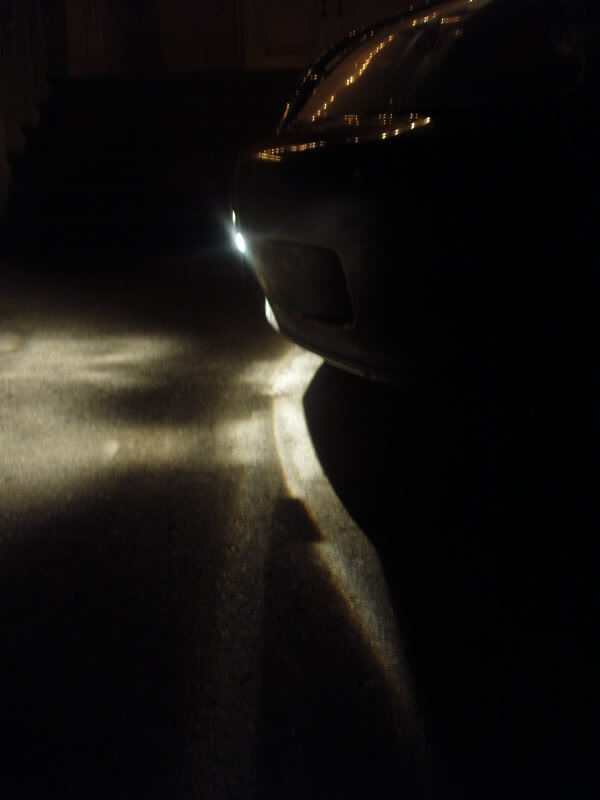 I position my fog lights to be about 4 inches below my headlight beams. Sorry for the super duper long read. I hope you learned something, just as I did. I'll have pics of the finished product tomorrow night. After winter I'll see how they hold up, if they're worth some extra work, I'll paint them black and change them to yellow bulbs. It looks like they're aimed too high, but I was parked on an uphill driveway. now THAT is how you do a DIY write up!!! thanks for the pics and detailed descriptions!! Find More Posts by imported_Grafix Ink. are yours actual oem or the depot 'knock offs'??? Either way, they look the same. this is a low budget fog lights..